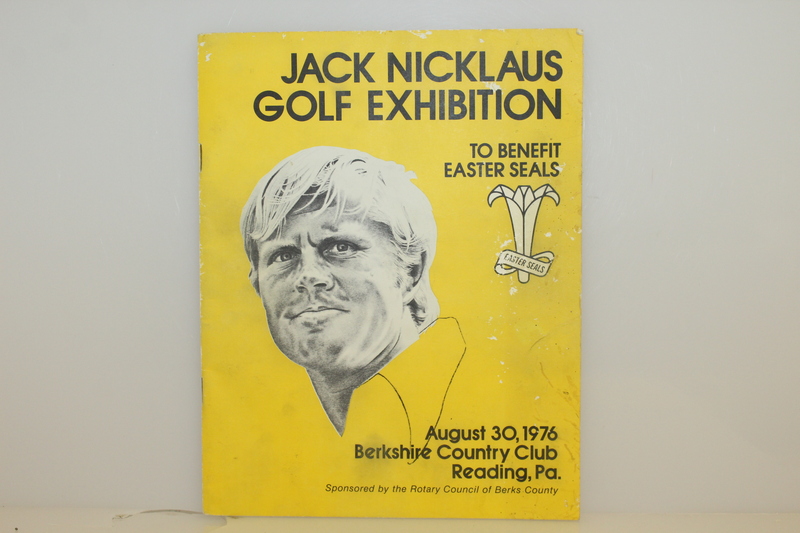 Cover illustration depicts Jack Nicklaus to a tee as we knew him as the Golden Bear. 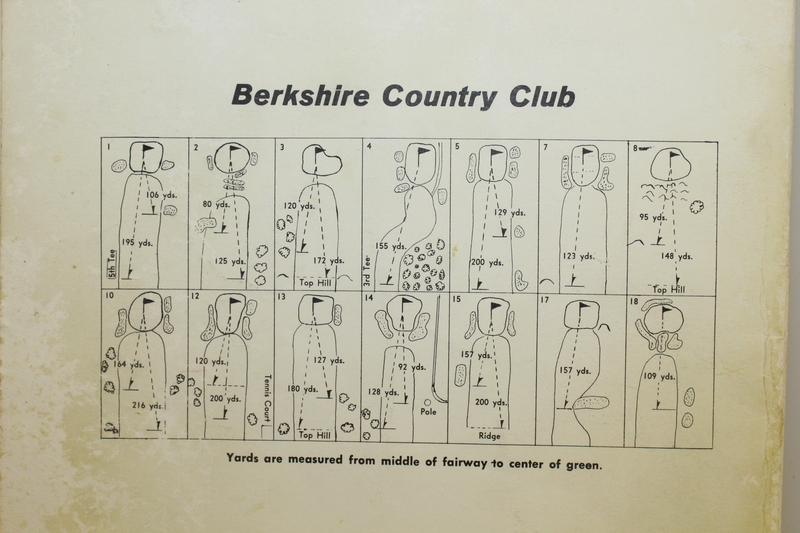 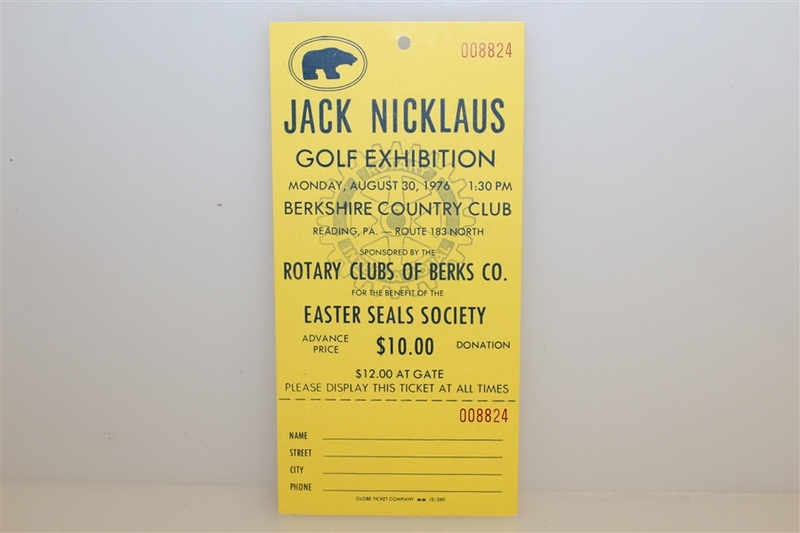 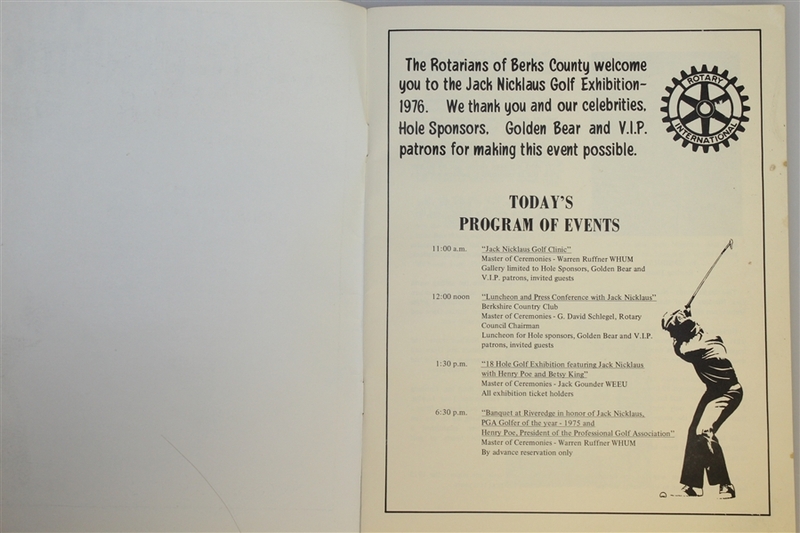 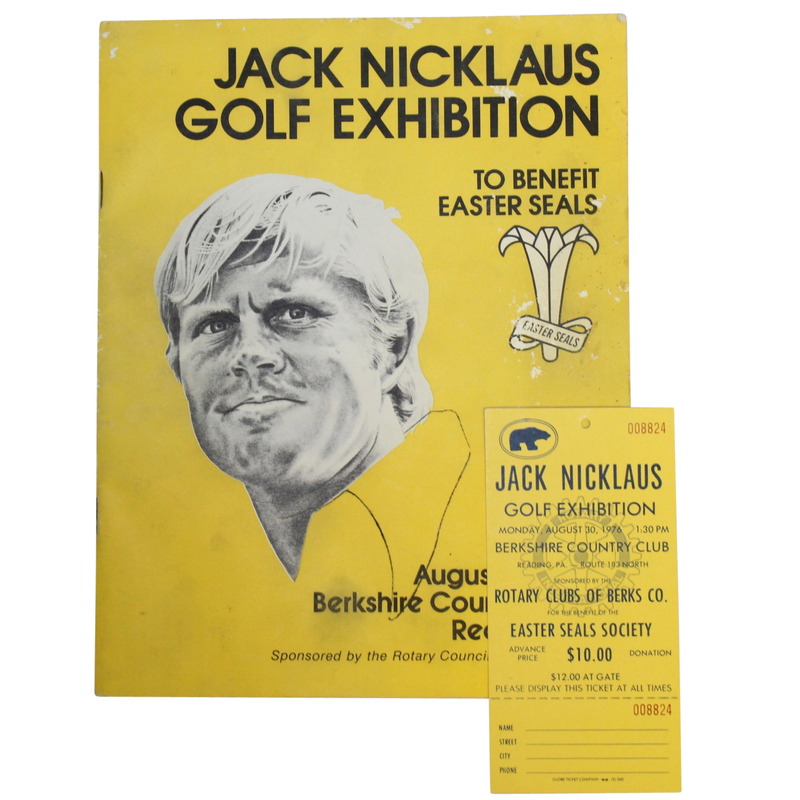 His play at the Monday August 1976 Easter Seals benefit golf exhibition held at the Berkshire Country Club was classic Jack as well. 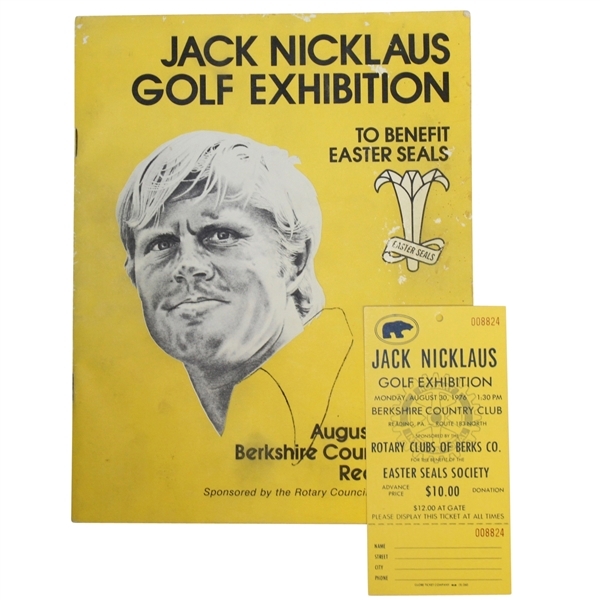 He shot two under 69 in play with PGA President Henry Poe and young local college star, Betsy King (who would one day join Nicklaus in the Golf Hall of Fame). 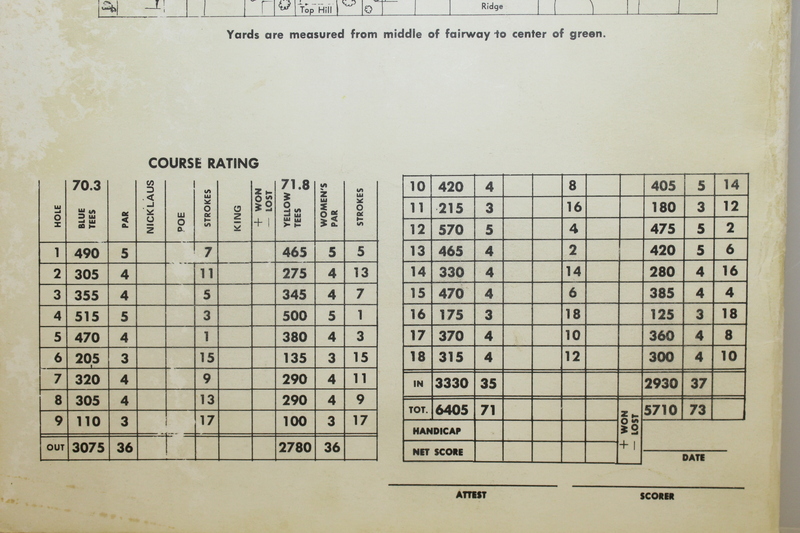 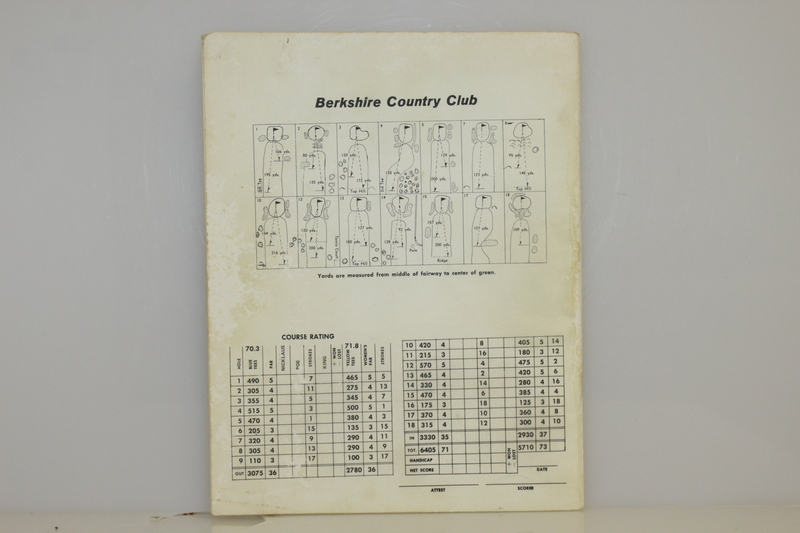 Rear cover scorecard which has been scored gives additional details to the match. Also included is a ticket to this event. 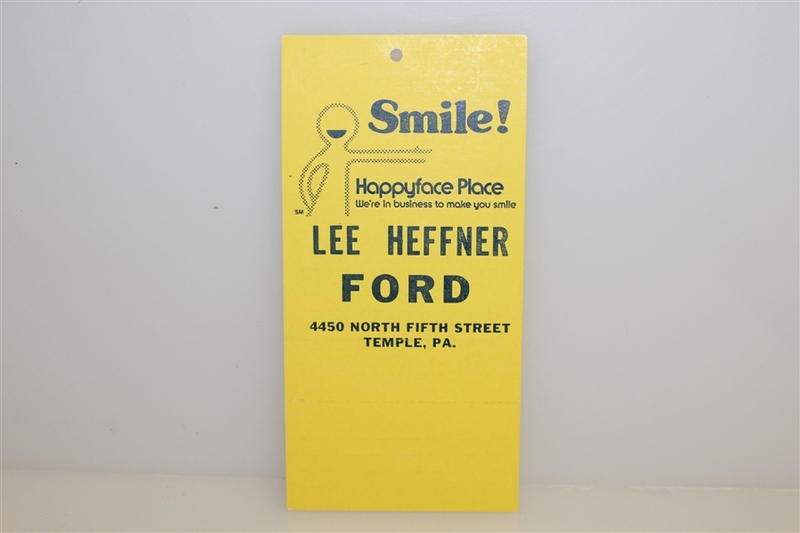 Both items have been well cared for over the years. 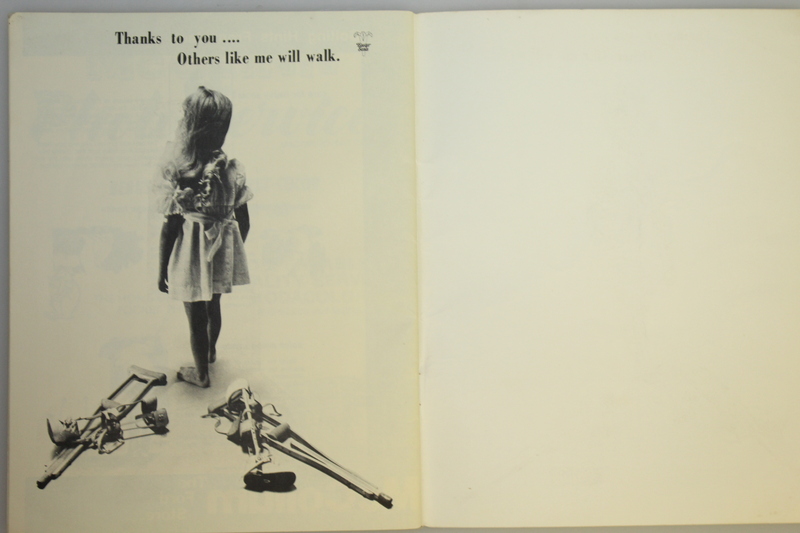 The ticket measures 6 1/4" x 3 1/8".